It’s rather difficult to move forward on a project when supplies run out. Let alone find a source for something you know comes in super long lengths but the box chain home improvement centers don’t carry. Thank goodness for our little Robnett’s Hardware store in Corvallis! 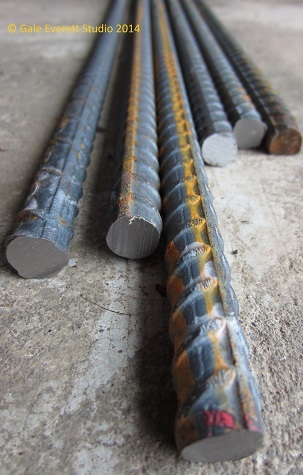 They carry 20ft lengths of rebar and cut to length! Oh, I was sooooo happy! 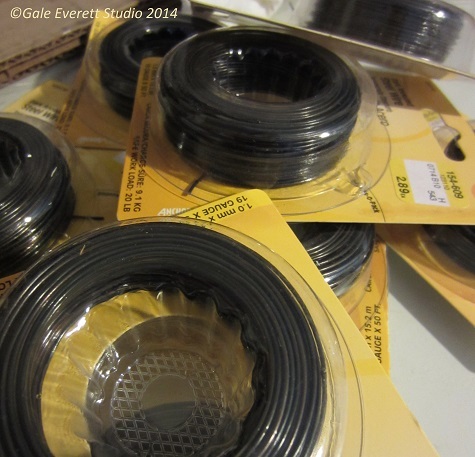 Plus they had restocked their wire section! How many customers come in and buy out all their 19 and 22 gauge dark annealed steel wire? They probably think I’m nuts. Eventually I might actually tell them about the project. Maybe. I should be set for another 3 full stalks, possibly 4! Maybe they will use you as an advertisement! Nice!!!! I love it when the supplies come together with the work! The hardware store is enlightened and they have an art prize every year with objects made from their wares. They must be used to all the local artist buying obscure hardware for outlandish uses.